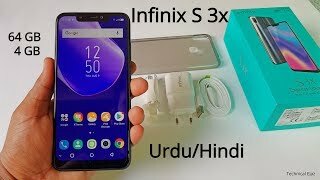 Infinix has been launched with the new Hot SX3 4 GB of this phone, and this phone is also coming in the Pakistani market so sit tight and wait for this new smart device which is not a big price compared to the hot offering S3X 4GB. The back side of your smartphone extends to the metallic colors that will give a luxurious look to this phone. Infinix Hot S3X 4GB gives you the feeling that you carry a kind of jewel in your hands that radiates like a jewel and gives others the feeling that you are carrying precious stones in your hands. The Infinix Hot S3X is the most important attraction for this phone, but its display is also a marvel because it placed a massive 6.2-inch display in a smaller body, and the Infinix’s Hot S3X 4GB Not Not design is also stunning. The gadget solution is also great with 720 x 1500 pixels which are really great for watching movies and videos. The Infinix S3X 4GB feature gives you the Smart Gesture feature that will hide the navigation bar from the bottom to save extra space and now control your phone with gestures. 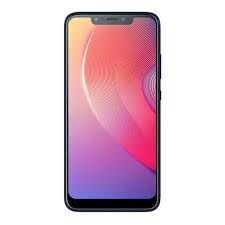 The Infinix S3X 4GB brings 13 + 2 MP cameras on the back, making your photos sharp and bright while the 16-megapixel front camera works with low selfie technology. The S3X 4GB will come with a 4000 mA battery in its belly that will give you almost one day of talk time. To run everything smoothly, Infinix Hot’s S3X 4GB got the Android OS Oreo OS.